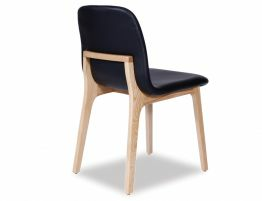 The Castle Scandinavian Timber Dining Chair is a modern favourite suitable for a majority of interior spaces. 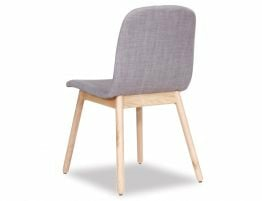 The Scandinavian style dining chair is most versatile when it comes to styling. 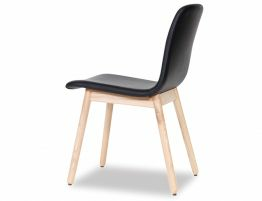 A beautifully formed dining modish chair has curvaceous features with soft edges for a subtle blended fit. The light timber details softens the overall feel. 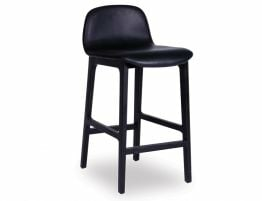 The upholstered padded seat in black is easy to maintain and wipe clean and offers extra level of comfort. 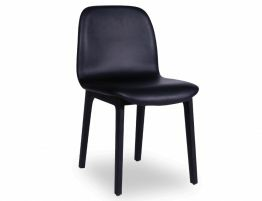 Sleek and modern with black padding keeps the Castle Dining Chair looking really slick and ultra mod. 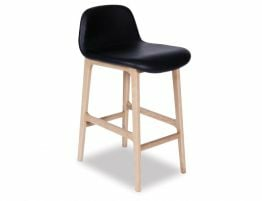 Pair it with an Aussie made timber table or choose one of our many Scandinavian options. At such an affordable price the possibilities are absolutely endless.